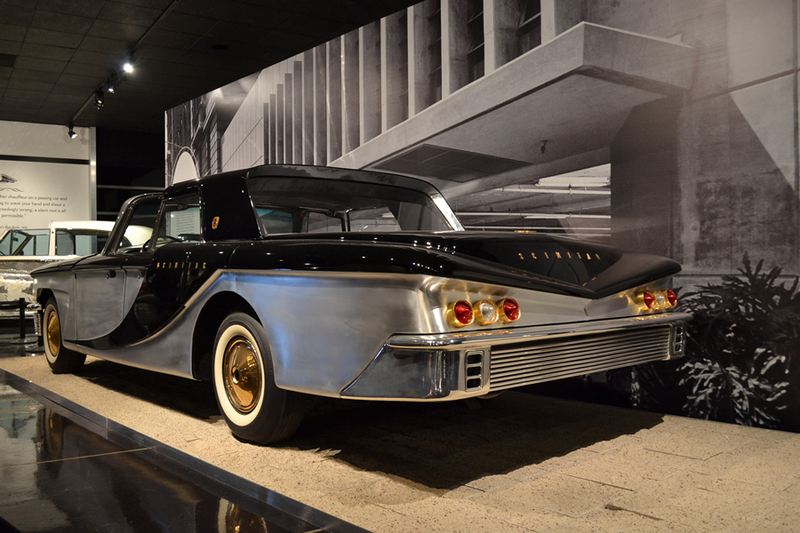 “Arriving in Style” is the catch phrase for the Town Cars exhibit at the Petersen Automotive Museum. 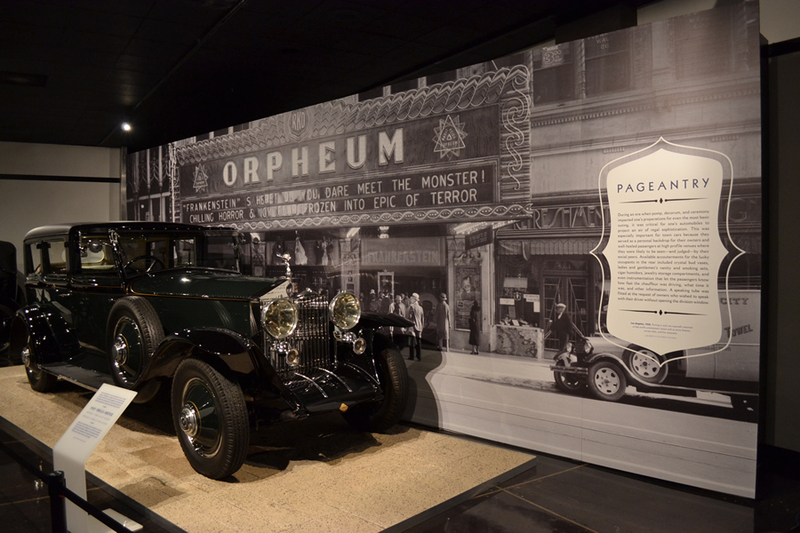 If you’ve ever had the pleasure of arriving – anywhere – in one these fine automobiles, doing so in style was definitely the right description. 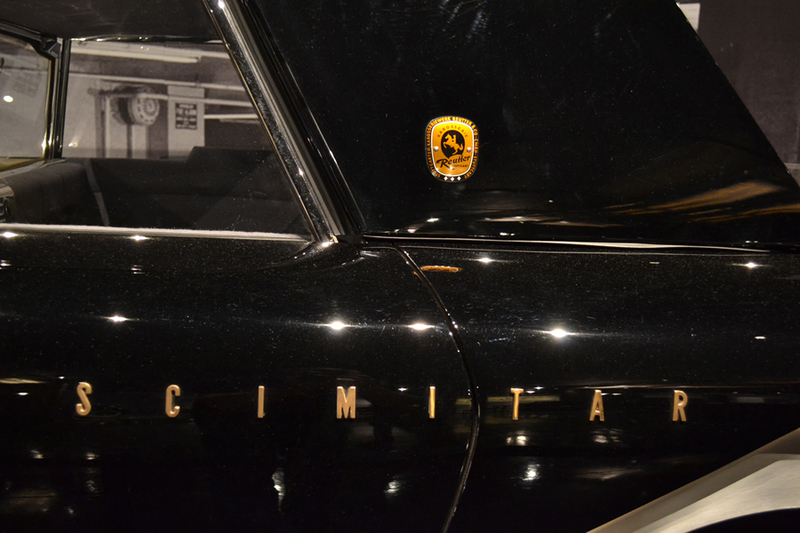 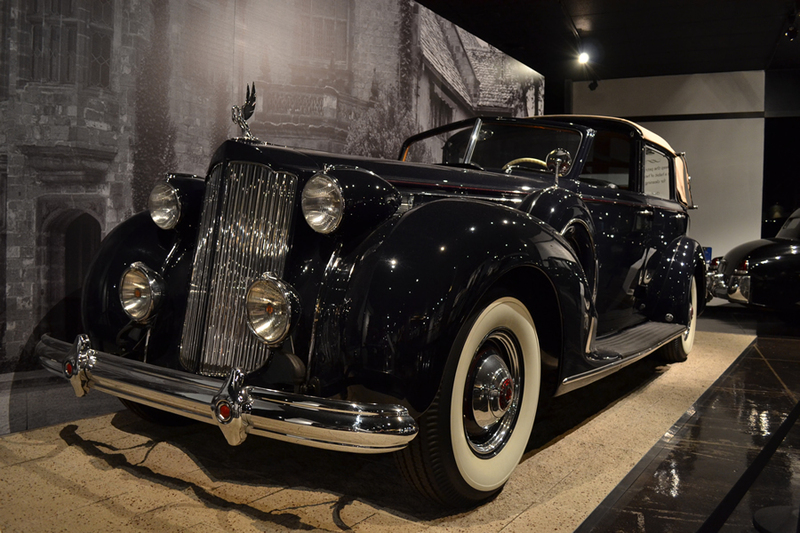 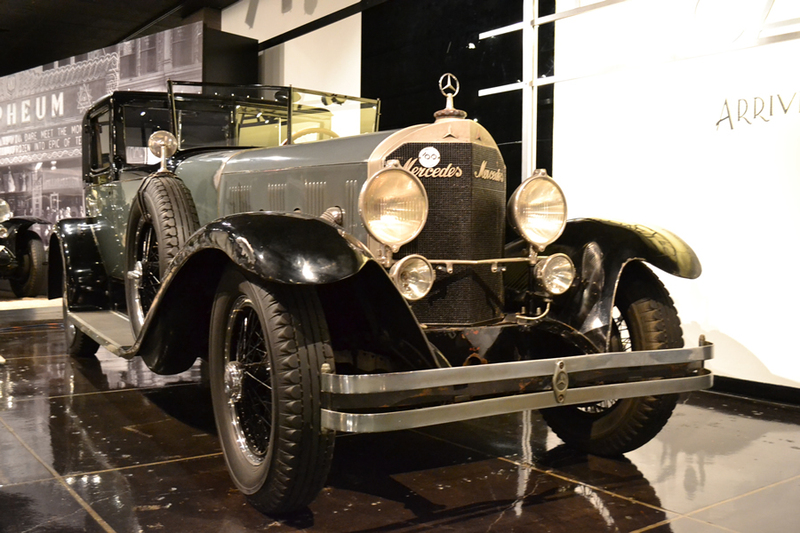 The Petersen has gathered together some of the finest and most interesting examples of town cars from the height of their popularity to models from later years as they began to fall out of favor as driver and owner became one. 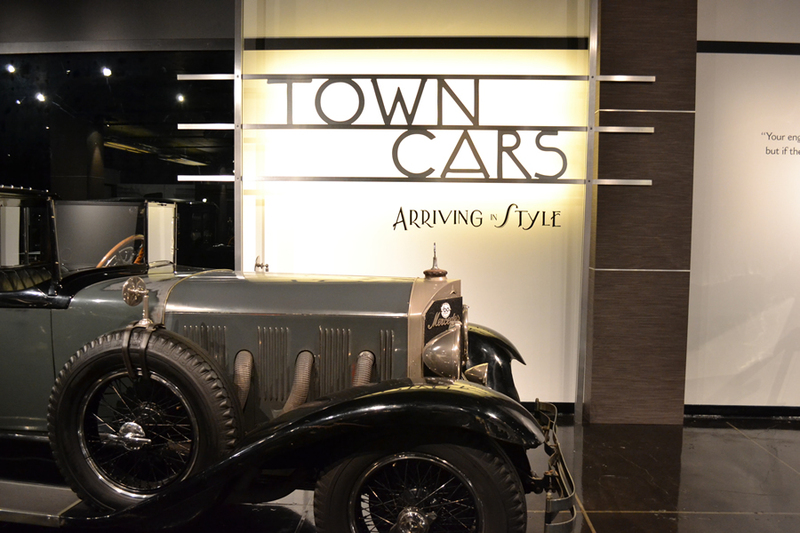 What makes a town car? 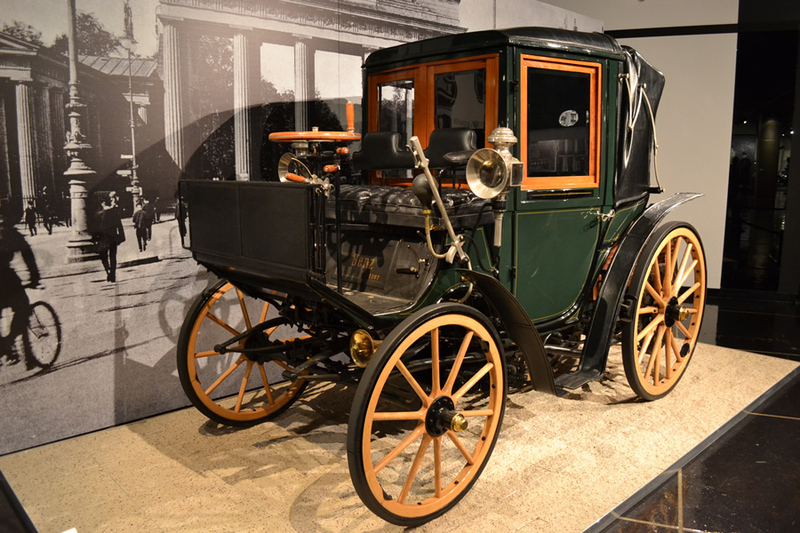 The driver’s or chauffeur’s area was exposed to the open air, just like a horse drawn carriage would have been. 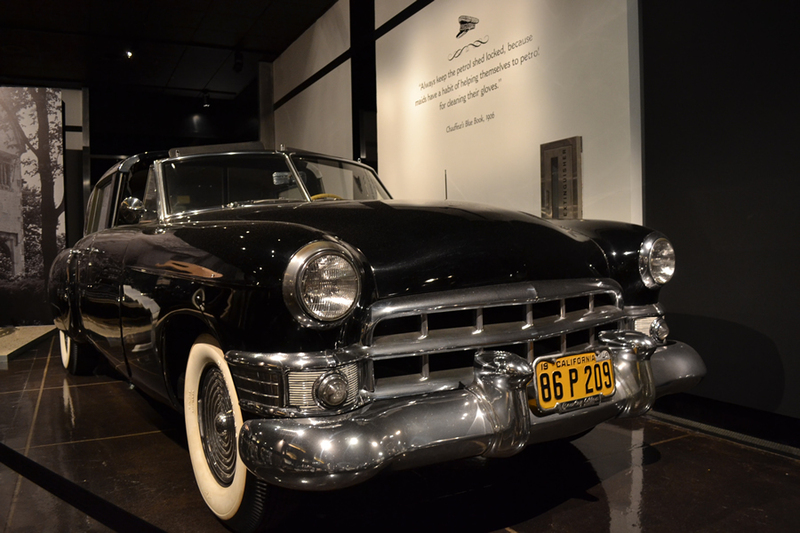 This trend lasted until World War II, after which it became relegated to custom orders and concept cars as chauffeurs now sat in enclosed compartments. 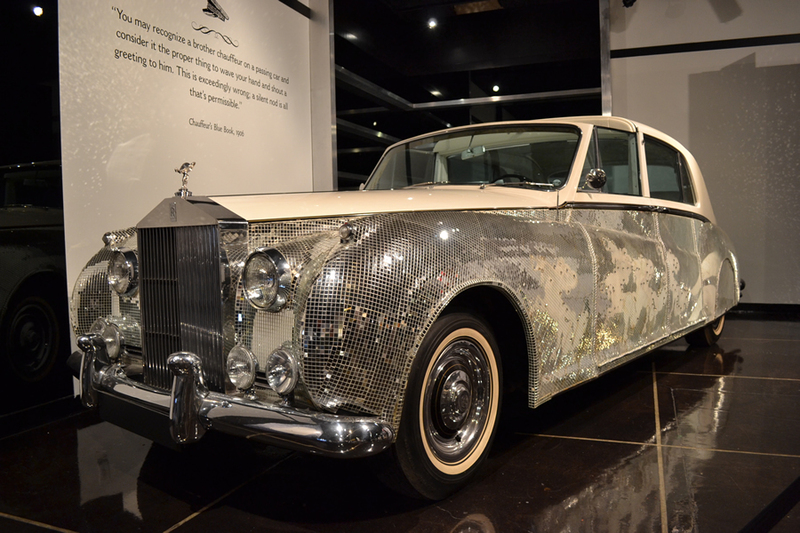 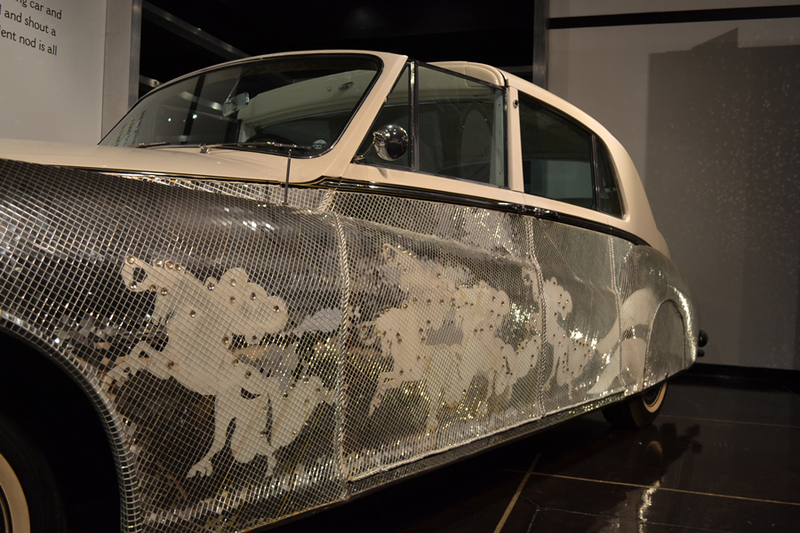 From the very early 1897 Benz Mylord Coupe that still looked of a horse drawn carriage to the outlandish 1962 Rolls-Royce owned by Liberace, all of the cars on display employed a driver to get the car owner from one location to another. 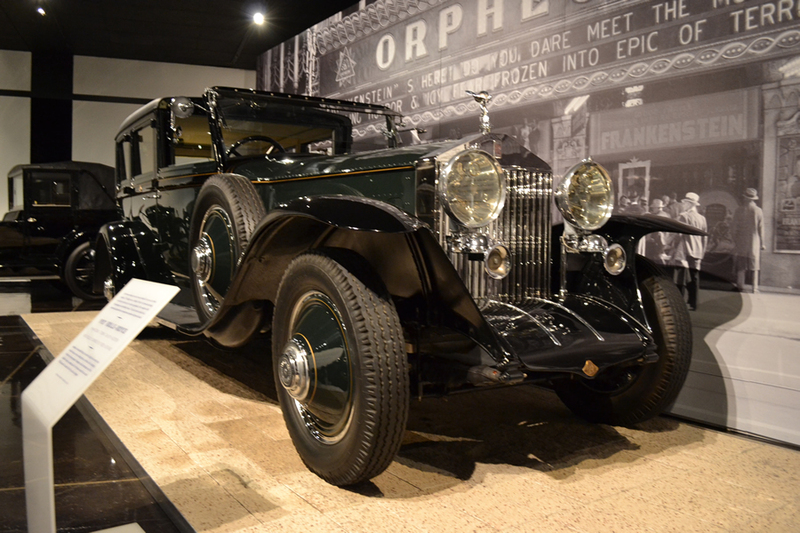 Each of these chauffeurs was essentially out in the elements, which would be quite enjoyable on a sunny day, but not as delightful in inclement weather. 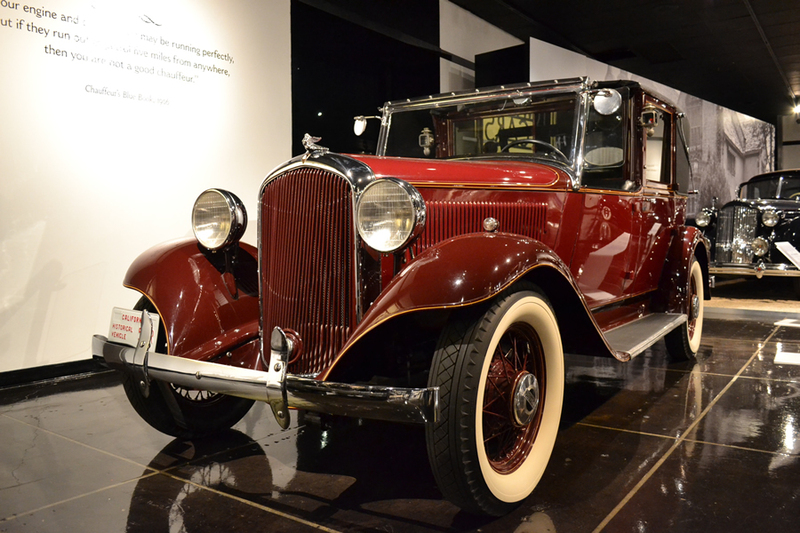 The 1932 Plymouth has a very interesting history – it was owned by Franklin D. Roosevelt and was chosen, even though it has a custom built body, for its less auspicious name in response to the Great Depression. 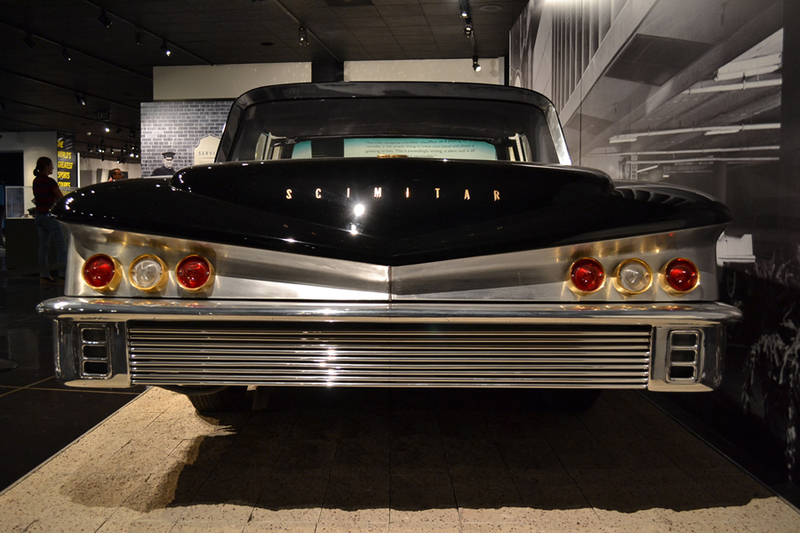 The more modern town car was many times a concept or promo car like this 1959 Scimitar Town Car Phaeton. 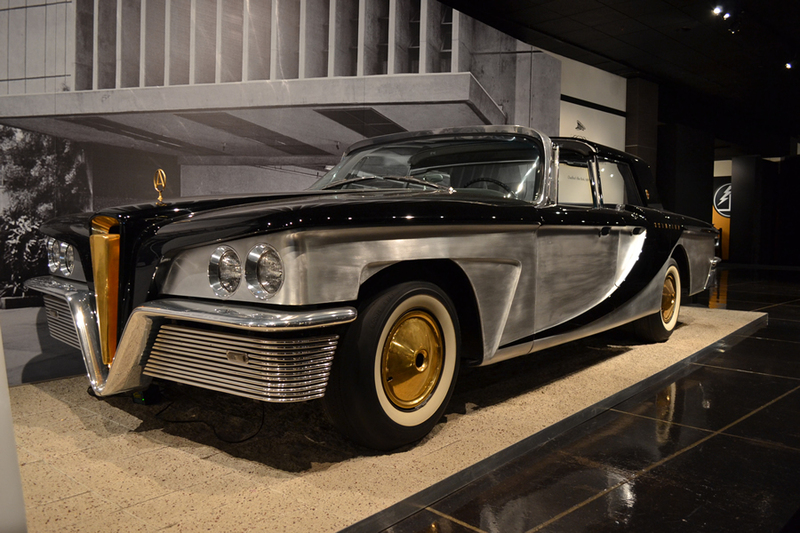 Commissioned by the Olin Aluminum Corporation to demonstrate the use of aluminum in the construction of automobiles, this town car was built by Brooks Stevens and debuted at the 1959 Geneva Auto Show. 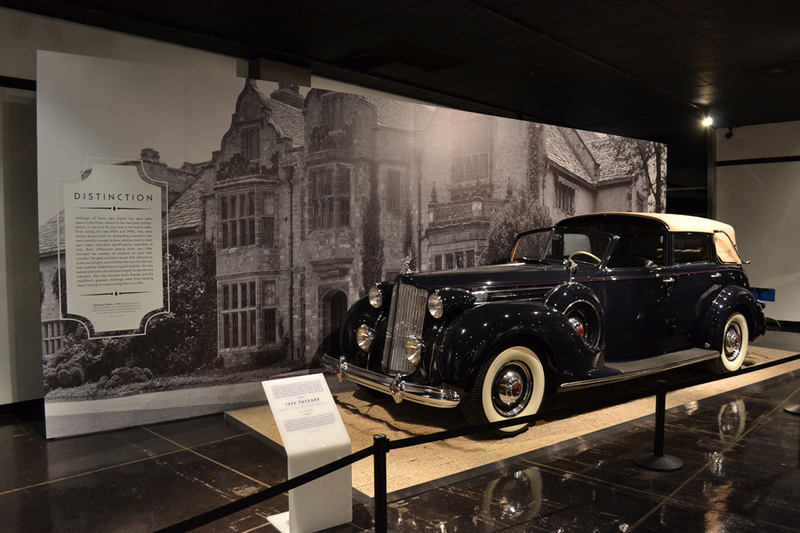 One cool feature this car has was a retractable roof that covered the drivers area; if you wanted a full convertible, the rear passenger’s roof could then be lowered into the trunk. 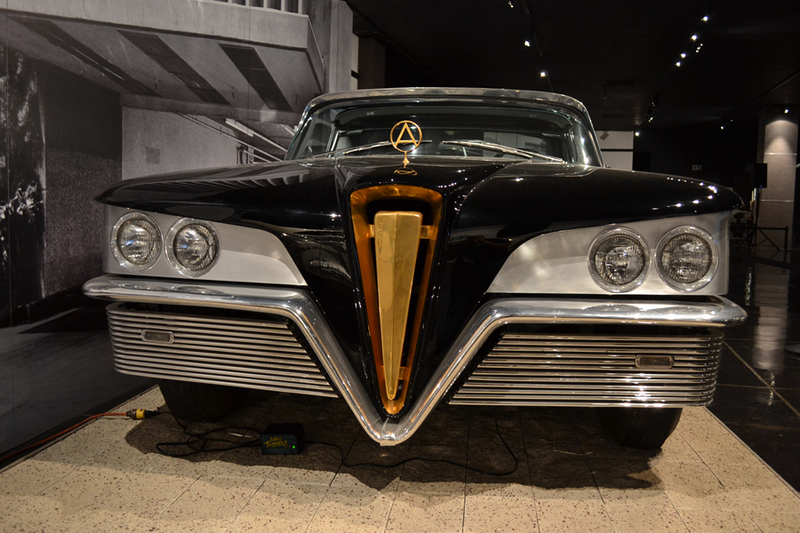 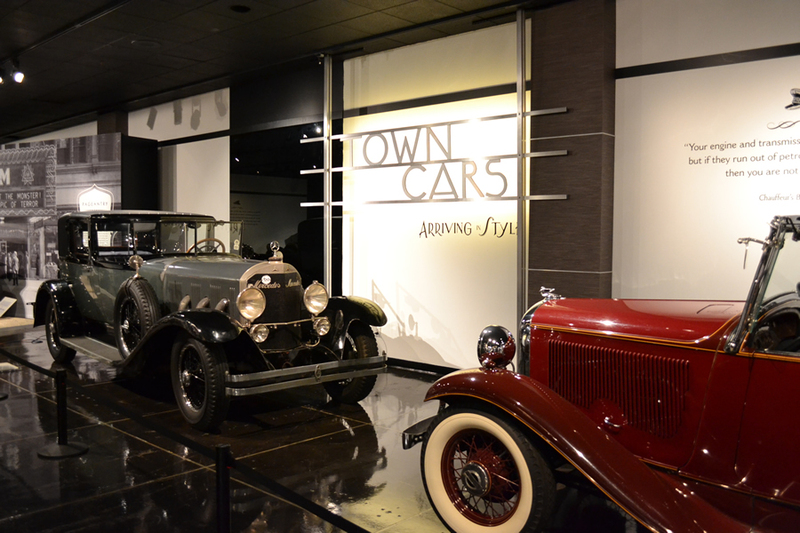 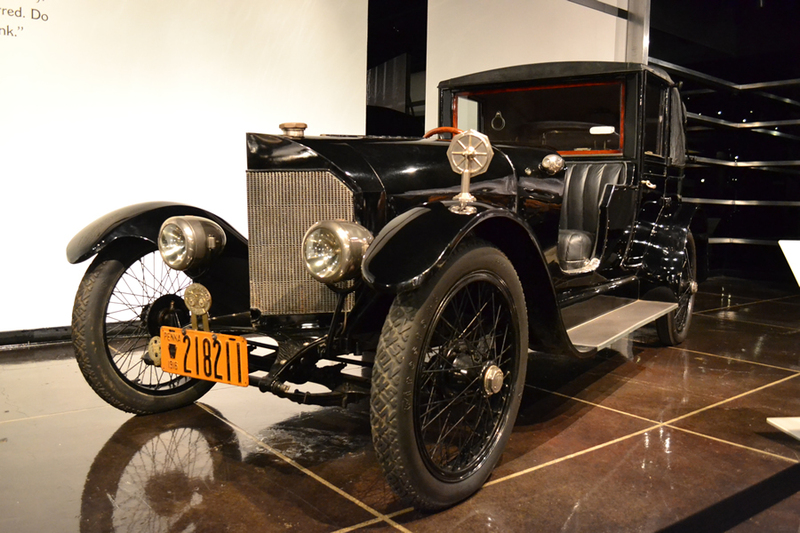 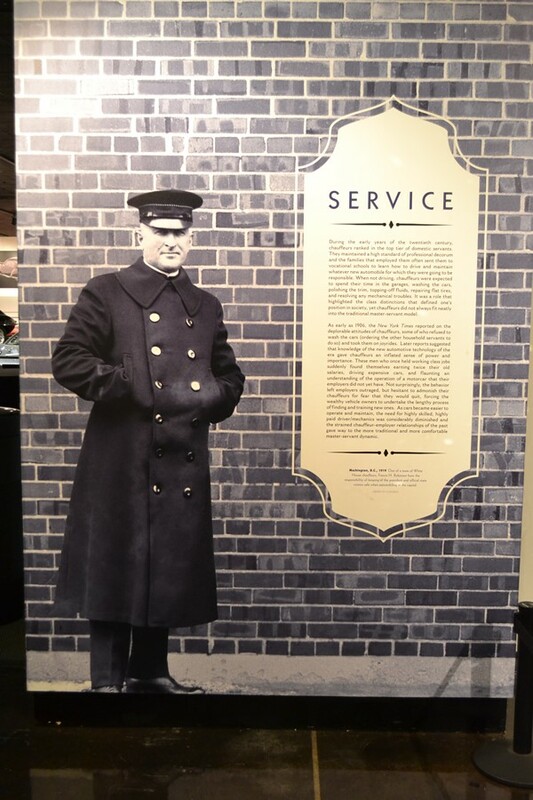 Make sure you make out to the Petersen soon to check out the Town Cars exhibit, because on Oct. 19 they will be closing for a year for extensive renovations. 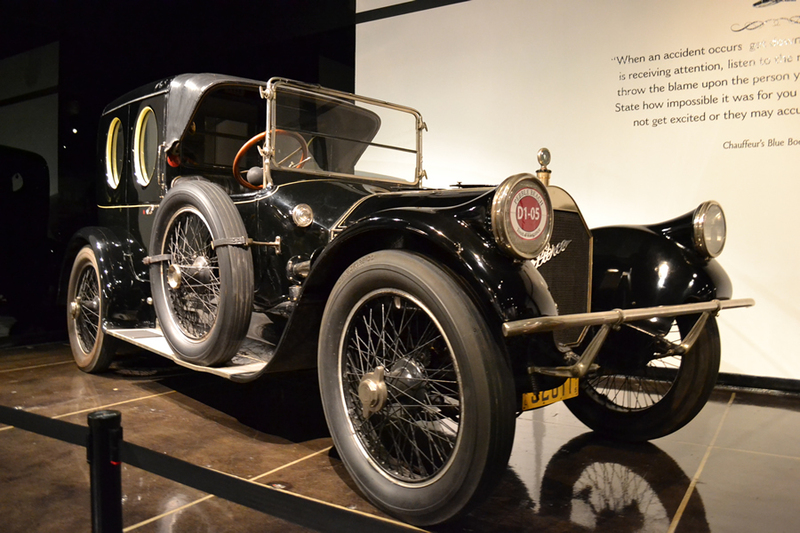 Special thanks to the Petersen’s superb team of curators and researchers, who provided the fantastic details about these cars!